Jim Shannon, MP for Strangford, has welcomed the grant of £8000 from the Heritage Lottery Fund providing support for Portavogie Maritime Culture and Heritage project. He said: “This grant id very significant for Portavogie as it enables this project to invigorate, educate and raise awareness about the Portavogie Maritime group which involves all of the community – both old and young together. Portavogie has been an active fishing village for centuries and is the second largest fishing village in Northern Ireland. Two publications will be produced concluding with an exhibition at the end of the project. It is intended to develop a partnership with local youth groups and historical societies. 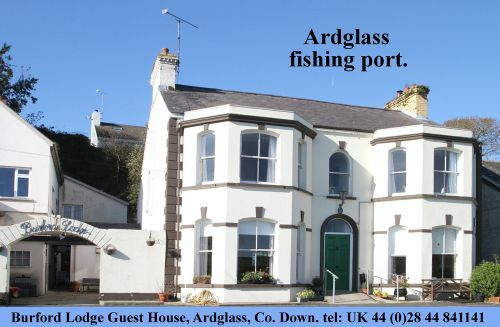 “The Heritage Lottery Fund has helped so many groups, churches and organisations in the Ards and Strangford area. Once again both historical awareness will be achieved by this grant and for everyone there will be a living history publication that will make this experience a lasting one.”.